Picture this: you’re strolling through the enchanted village of Leavenworth, WA. You’re taking in the gorgeous scenery, and there’s a delicious glass of local wine in your hand. You’re at the Leavenworth Wine Walk, one of the area’s most loved annual events. Read on to learn everything you need to know about both the spring and fall wine walks. 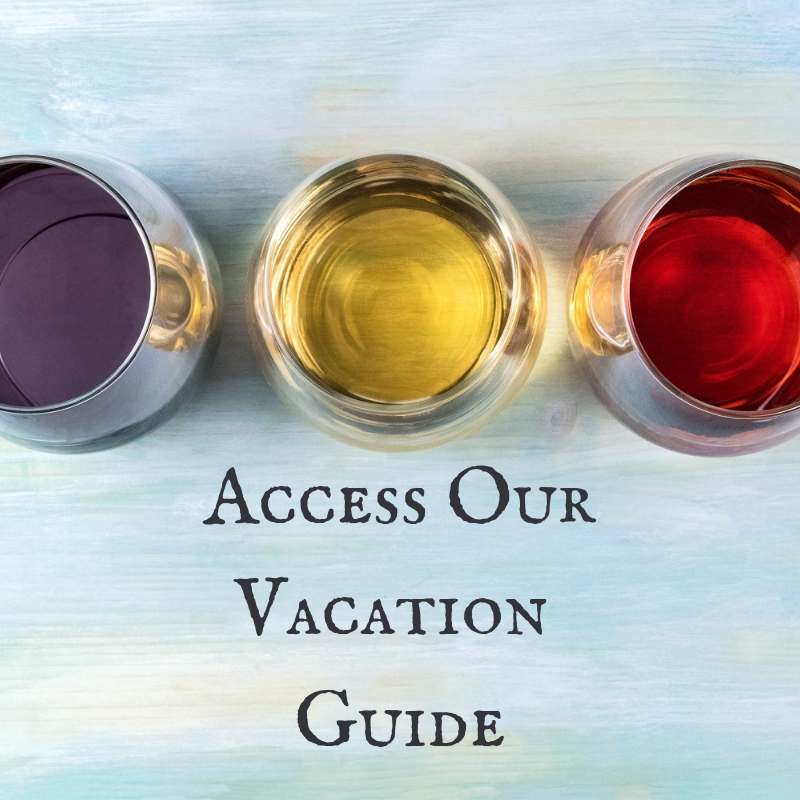 Then, request your free copy of our Vacation Guide. This all-in-one planning tool includes the area’s top festivals, attractions, dining, and outdoor activities. It’s all you need to prepare for a trip to Leavenworth! The Leavenworth Wine Walk is the perfect opportunity to taste succulent, locally crafted wines. Not only will you experience the beauty of our Bavarian village, but you’ll also get to know Leavenworth’s local wineries. Sommeliers and wine lovers rejoice at this popular festival! Set against the backdrop of the beautiful Cascade Mountains, the Leavenworth Wine Walk is the ultimate wine festival. Attendees enjoy the best Leavenworth wine tastings and learn about wine-making techniques from the area’s experts. You also receive a complimentary wine tasting glass, a bottle tote, exclusive prizes, and live music performances. Do you want something more to look forward to? Leavenworth’s local cheese shop, The Cheesemonger, will be providing specialty cheeses to pair with your favorite wines. It’s every vino lover’s dream come true! Both the Fall and Spring Wine Walk cost $45 per person and $80 per couple. Reserve your tickets today! Every year in early June, the hills surrounding the Cascade Mountains are flooded with blooming wildflowers and sunshine. Join us for a picturesque Saturday afternoon sampling exceptional wine. Visit the town of Leavenworth’s website to learn more, then reserve your tickets to the event! Each September, downtown Leavenworth is decorated with gorgeous fall foliage. The weather in September is still beautiful and warm, so there’s no need for scarves and mittens yet! Enjoy a chilled glass of wine and excellent live entertainment. Visit the town of Leavenworth’s website for more information, then reserve your event tickets today! Are you planning a visit to our Bavarian-inspired destination soon? Here are even more Leavenworth, WA events that you’ll want to add to your itinerary! Leavenworth Ale Fest (April): Support the Leavenworth Nutcracker Museum while enjoying an array of delicious craft beers from all over the state of Washington! Maifest (May): During Maifest, our quaint village taps into its German roots. The event includes a full weekend of music, dancing, and merriment. Leavenworth Oktoberfest (September and October): There are plenty of Oktoberfests across the country, but ours is one of the best! Visitors from all over the country flock to our village each fall to indulge in traditional festivities, fantastic food, and, of course, lots and lots of beer. Christmas Lighting Festival (December and January): During this jaw-dropping event, our town transforms into a village of lights. Nothing says yuletide cheer like watching half a million lights sparkle in the snow. With so much to see and do in Leavenworth, it’s nearly impossible to fit it all in one day! Ensure you’ll have plenty of time to experience the wonders of our Bavarian village by booking a stay at Pine River Ranch. Our charming bed and breakfast provides all the comforts of home with added touches of luxury. Our rustic-style suites and premium amenities are just a few of the things we offer to our guests. 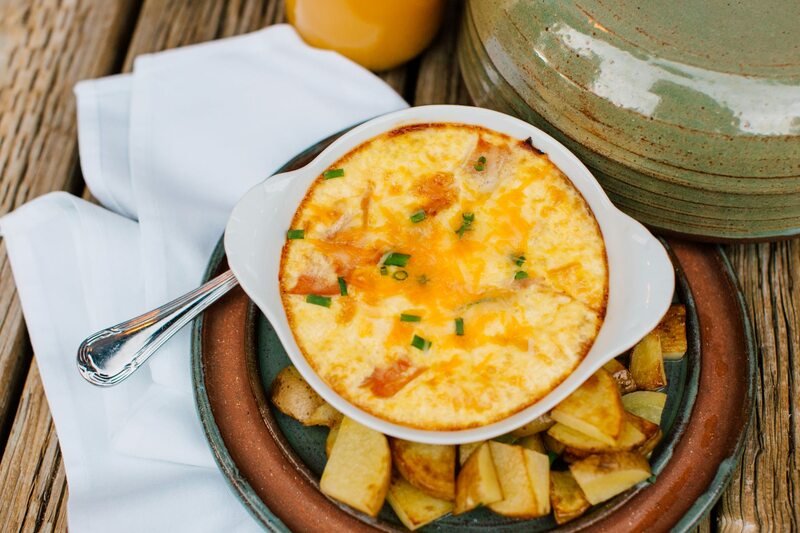 A stay with us also includes a gourmet breakfast delivered to your door every morning. Select from our homemade scones, locally sourced eggs, baked berry french toast, and more. You’re guaranteed to make memories to last a lifetime at Pine River Ranch. What are you waiting for? Book your favorite room with Pine River Ranch today! We look forward to welcoming you to Leavenworth.